Despite the fact that director David Ayer has already tweeted a photo of (most of) the Suicide Squad cast, Warner Bros. is still hiring famous people to play B-level comic book villains in it. It already has Will Smith as Deadshot, Adewale Akinnuoye-Agbaje as Killer Croc, Margot Robbie as Harley Quinn, Jai Courtney as Captain Boomerang, and five or six more people as characters who aren’t confirmed yet—plus there’s Jared Leto as the Joker, but he’s not B-level like these other schmucks. Now The Hollywood Reporter says that Oscar-winning rapper Common has joined Suicide Squad, and like most of the cast, we don’t know who he’ll be playing. Thankfully, with so many DC characters already taken, we should be able to figure out who Common is playing just by thinking of the few that are left. We know he won’t be Batman, Superman, or Wonder Woman, and we can count out most of their supporting characters as well, so he’s not Alfred, Perry White, or Lois Lane. Who does that leave? King Shark? Green Lantern John Stewart? Mr. Mxyzptlk? 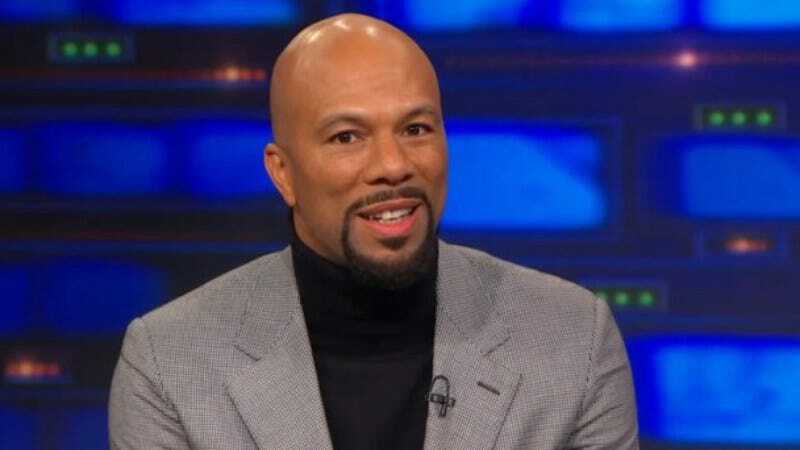 Maybe Common will just play himself in a weird cameo. That would certainly be unexpected.